On April 11th, 2016, the third Microsoft Indoor Localization Competition took place. A team of the Linz Center of Mechatronics GmbH (LCM) participated in the category “infrastructure-based” (3D position estimation) deploying their sound-based localization system (SBLS). The SBLS has been developed within the EU-project “FEATureFACE” in order to increase the security of workers in underground mines by determining their position around the mining machine (http://www.sciencedirect.com/science/article/pii/S0003682X14003168). The SBLS is capable of estimating the positions of miners within a radius of 10m in 2D with an accuracy of about 10-20cm. In the competition, 3D positions (x,y,z) were required and the number of anchor nodes (loudspeakers) was limited to five. “The evaluation environment of the Hofburg Dachfoyer (465m2) offered a phantastic opportunity to move on from the limited spaces of a training mine and the measurement laboratory, and to extend the capabilities of our system,” says LCM team member Dr. Florian Hammer. The results are impressive: The SBLS provided an average estimation error of 1.22m and turned out to be the best acoustic system evaluated in the competition. Please, find more details on the results HERE. 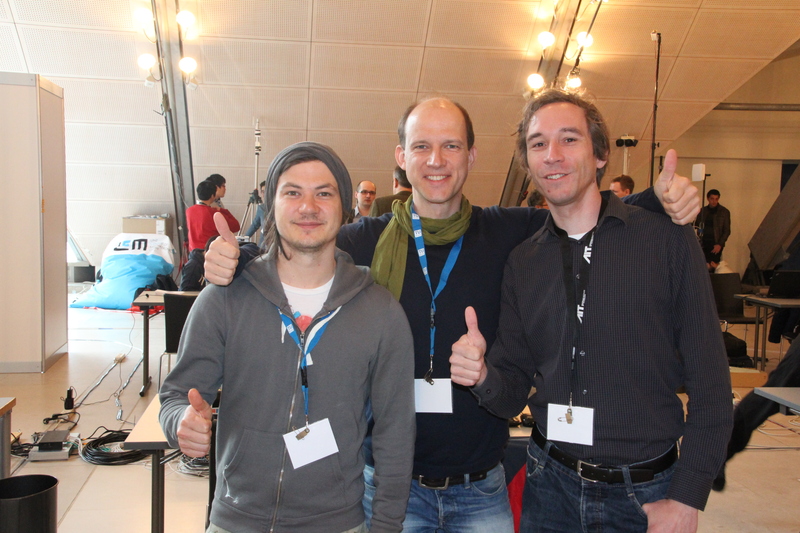 Picture-credits: LCM | Team @ Microsoft Indoor Localization Competition 2016 (from left to right): Klaus Pendl, Florian Hammer und Markus Pichler.